The Waterford Fund has been organized to invest in multi-unit residential properties. Current income producing multifamily rental apartments are held in New Hampshire, Vermont, Ohio, Kentucky, Indiana and Massachusetts. The Fund is currently raising up to $10,000,000 from ACCREDITED INVESTORS to fund the expanded purchase of additional income-producing properties. In addition, quarterly, the Fund anticipates it will pay the Investors’ interest in twenty-five percent (25%) of the available distributable income, beyond the 8% annualized monthly payment. Historically, this yields to the Investors an annual Internal Rate of Return (IRR) of at least twelve percent (12%) or greater. (Past returns are no guarantee of future income. Distributable income includes excess cash flow from rents as well as gain from sales or refinances of property not reinvested in other properties. In addition, the Fund will receive twenty-five (25%) of the net sale proceeds, after return of Investors’ capital, from the liquidation of the portfolio.) Investors will have a right to exit the investment three years after the date of their subscription to the Fund. The Vazza Waterford Fund No. 2 is a single asset fund featuring the hottest residential development project—One Midtown in downtown Cleveland. 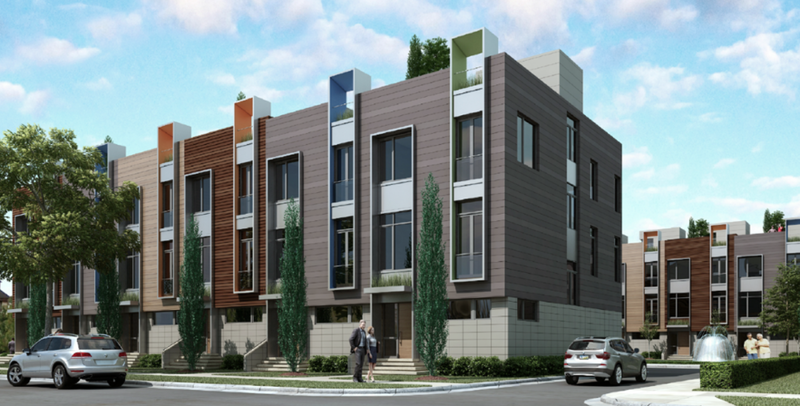 The One Midtown Luxury Townhomes are an exciting new transit-oriented community of modern contemporary townhomes developed by BD Euclid Ave LLC. Located in the heart of Cleveland's vibrant Health-Tech Corridor (HTC) of MidTown Cleveland, these brand new residences combine both state-of-the-art amenities & luxury living within a convenient location. Sought-after qualities unmatched in the entire HTC, MidTown and University Circle region.